When reviewing 3D objects in a CAD drawing, you might need to rotate the 3D objects around Axis-X, Axis-Y, or Axis-Z, and switch between standard and isometric views. Three hot keys and three buttons are provided in Easy CAD Viewer for the three kinds of rotations. The eye rotate is a term for rotation around Axis-Z. The vertical rotate is a term for rotation around Axis-Y. 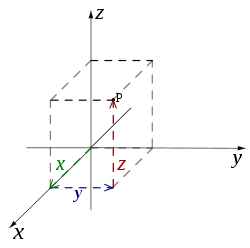 The horizontal rotate is a term for rotation around Axis-X. When you view 2D objects based CAD drawings, the three hot keys and buttons are grayed out. They are only accessible when a 3D drawing is loaded.